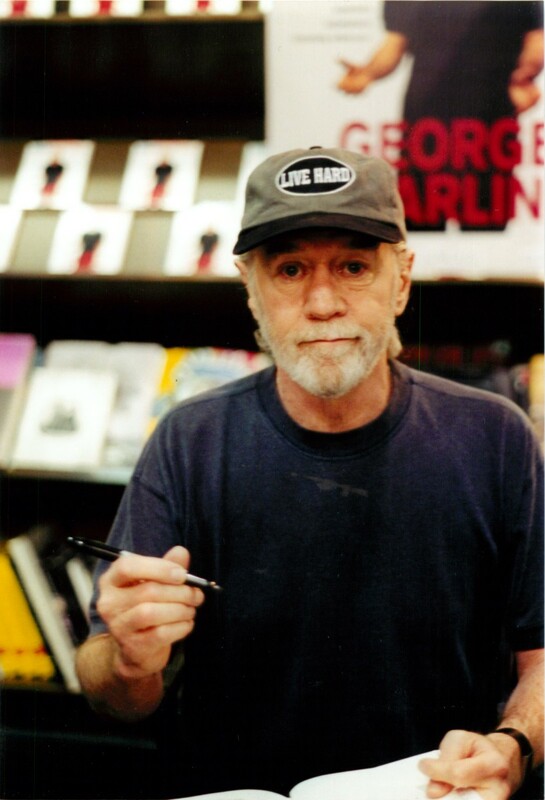 George Carlin at a book signing in New York City. When news broke of the death of George Carlin, my first reaction was to suggest to my colleagues that we incorporate his famous "seven words you can&apos;t say on television" into our upcoming stories. He would surely appreciate such a twisted homage. Alas, they passed on my idea. But Carlin was commemorated on a variety of television news programs Monday evening, and the coverage provided the raw material for an interesting study of media and society. The comedian’s death at age 71 comes only 10 days after the passing of NBC newsman Tim Russert, the television reportage of which rivaled that of a president or pope. Many complained the coverage, which continued for nearly a week, was overblown —an example of Washington insiders celebrating one of their own. But there’s no question that Russert, with his appealing combination of a razor-sharp mind and an everyman sensibility, hit a nerve with the public. By this morning, the original New York Times blog item announcing his sudden death had inspired 2,700 comments. The television coverage of Carlin’s equally disturbing demise followed familiar patterns. On the PBS “News Hour,” substitute anchor Gwen Ifill displayed no emotion whatsoever as she introduced clips of his brilliant stand-up work. If she was saddened, she kept it to herself. On MSNBC, Keith Olbermann made the story about … Keith Olbermann, telling viewers that Carlin had contacted him periodically with suggestions for the show. He then replayed a 2007 interview he did with Carlin, in which the comedian commended Keith’s “Countdown” as the best newscast on television. The most informative coverage of the evening — and here are five words I never thought I’d write — was provided by Larry King. The veteran CNN host stayed discreetly in the background during an hourlong show devoted to Carlin, letting comedians Jerry Seinfeld and Bill Maher explain why he was so influential. Seinfeld perceptively noted Carlin’s physicality on stage, while Maher discussed the fact he introduced to stand-up comedy topics that had been considered taboo, including religion and patriotism. Their points were illustrated by well-chosen clips from his routines, in which Carlin mocked pretty much everything American society holds dear. Watching them, it occurred to me that the philosopher/agitator/comedian was in many ways the anti-Russert. Sure, both were extremely smart and both had reputations as good guys who provided support and mentoring to deserving young talents. But as all the memorials made clear, Russert bought into mythology of America without doubt or equivocation, while Carlin rejected it wholeheartedly and did everything he could to punch holes in what he considered its flimsy façade. Contrast his attitude with that of Carlin, who remarked in a routine that was rebroadcast last night that a good number of our founding fathers were “slave-holders who were looking for freedom.” He went on to point out our sins against a variety of other races, including the fact we virtually wiped out the American Indian population as we made our way West. Russert, with his sunny outlook, failed to see or acknowledge America’s shadow; Carlin saw nothing but shadow. Compare that insightful analysis to Russert’s relentless rooting for his hometown Buffalo Bills. If the fact football is a form of ritualized combat that appeals to the militaristic, aggressive side of our nature ever occurred to him, he quickly banished it from his mind; it would have interfered with his enjoyment. I don’t mean to suggest either man was disingenuous in his beliefs; it’s just that one upheld society’s values and the other challenged them. In the end, that’s why Carlin will have one day of coverage to Russert’s six. 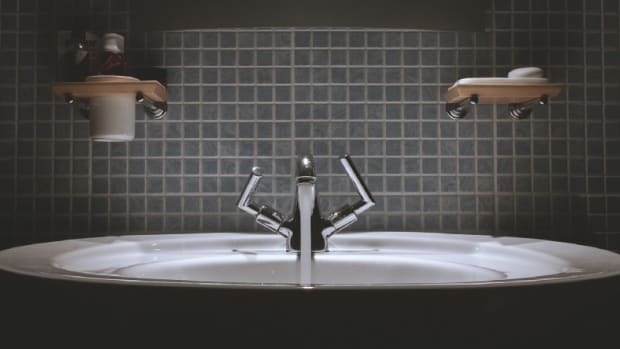 The contrarianism he embodied doesn’t inspire teary tributes, but it is an absolutely essential element of a healthy, self-questioning society. Which is something that can, and should, be said on television.